Most of us are absolutely certain that we wouldn't hesitate to save a drowning child. Yet while thousands of children die each day, we spend money on things we take for granted, and would hardly miss if they were not there. Is that wrong? If so, how far does our obligation to the poor go? According to the World Bank 1.4 billion people live on less than US$1.25 per day. This entails a vast amount of suffering and avoidable loss of life. The Life You Can Save offers a solution to world poverty. 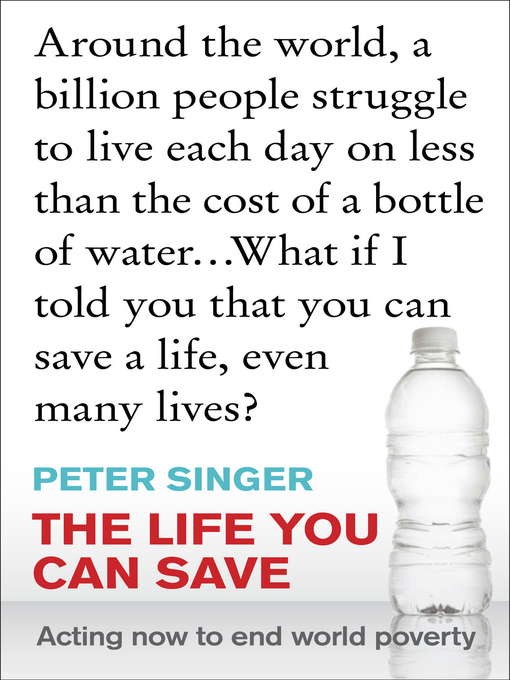 With his trademark clarity, logic and intellectual flair Peter Singer shows us not only that this solution is possible, but also that we have a moral obligation to be part of it. All author royalties from the sale of this book are donated to Oxfam. Five per cent of Text Publishing's revenue from this book is donated to Hamlin Fistula Relief & Aid Fund.